If champagne is the friendliest drink, then rosé has to be its flirty cousin. Its pink color is irresistible, especially in a pretty glass on a warm day. Rosé is actually made from black-skinned grapes whose skins have had less contact with the juice than red wine. I love shopping for rosé. There are so many different hues, from very pale pink to almost fuchsia, and they usually have lovely bottles too. I don’t typically like the bright pink rosés. The paler ones seem more sophisticated, more delicate, more…French. And they usually have a more refined, drier taste that is perfect for a warm spring day with some runny cheese, some ripe pear and a crusty baguette. 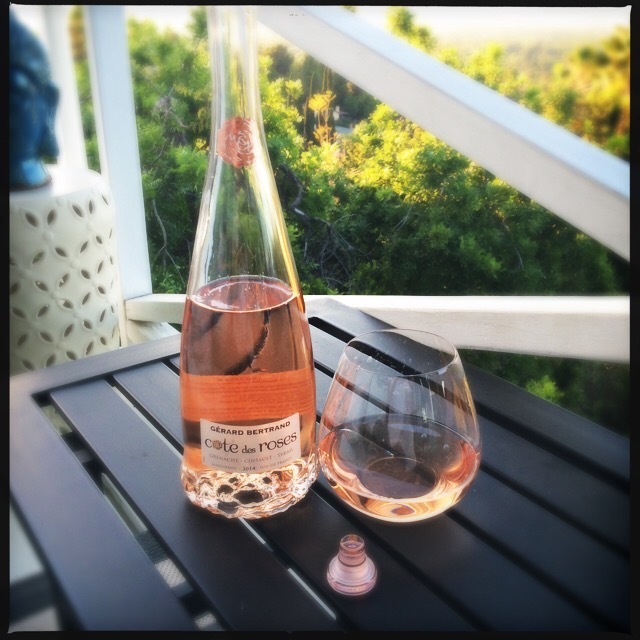 Recently, I came across Gérard Bertrand Côte des Roses Rosé and it hit all those notes for me, but the pièce de résistance was the bottle. First of all, it has a glass stopper instead of a cork. I have a soft spot for the glass stopper. Several years ago, Kirsten searched high and low for wine with a glass stopper for a birthday gift for me. She came over, all triumphant, with the gift in a bag and my dog jumped up on her. She dropped the bottle and it broke. We both just stood there in horror and watched the wine ooze all over my lawn. I saved the glass stopper, though, and I still have it. Glass stoppers prevent cork taint and are a gazillion times more elegant and fun than the screw top. I wish more wineries used them. 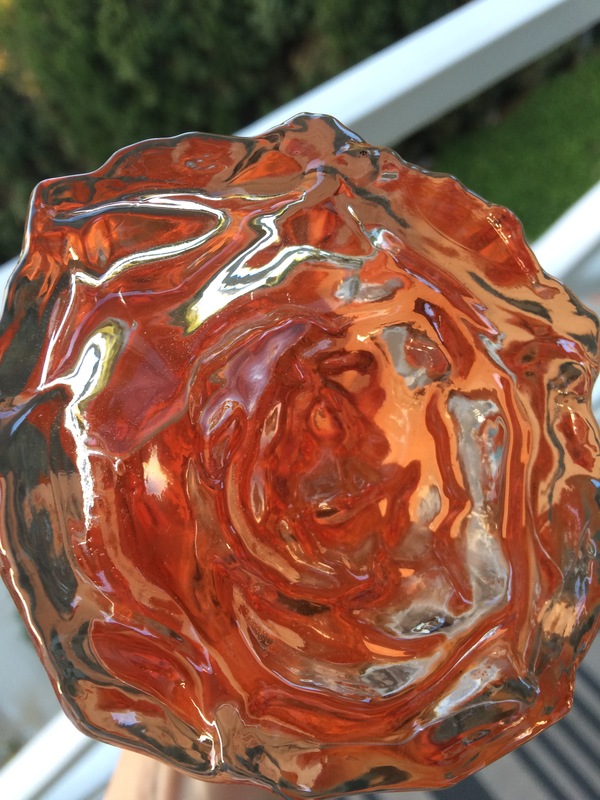 But the best part of the bottle is that the bottom is a perfect rose in bloom—gasp! I don’t know who this Gérard Bertrand is, but I would like to be friends with him, s’il vous plaît! The wine is everything you want a rosé to be: crisp and dry with a delightful aroma and the perfect blush color. Kirsten and I finished the bottle last weekend with some double cream brie and crackers. It flirted with us pretty hard. I’m sure there will be a second date. Gérard Bertrand Côte des Roses Rosé is available at BevMo. I have read one piece and have learned so much already. The rosé to buy. How to spell rosé. Glass stoppers. (Had no idea.) Rose bottomed bottles. What a beautiful world!